Great shots with fantastic detail and color. Thanks David … The Pany G6 and Oly 60mm macro make good jpg’s together. Thanks Therese … It’s a wild world in the garden and at our feet. Have never seen a spider quite like that before. Pretty glad it’s the wrong scale to suddenly appear looming over my shoulder. I’m pretty sure the first two are a female Lynx spider, maybe even the same one at different times – taken 3 days apart. #4 is the male. At least with a spider you know what you’re getting. The human social equivalent hides in plain view. Yikes! 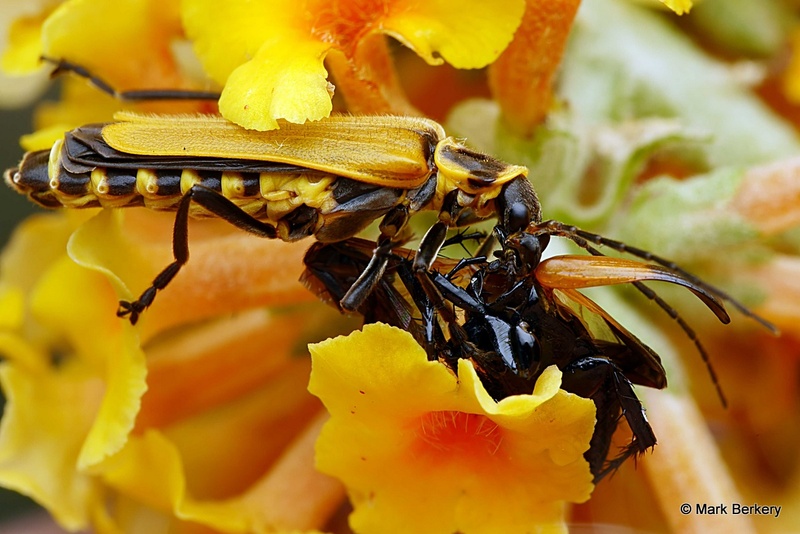 The insect equivalent of me wouldn’t last a second. Amazing shots, though! None of us would last long, that’s how important the form is – to the life behind it. I often look closely at the long strip of grass and weeds overlaying a nearby petroleum pipeline and everywhere I look there arre small black spiders, which I eventually identified as a type of wolf spider. 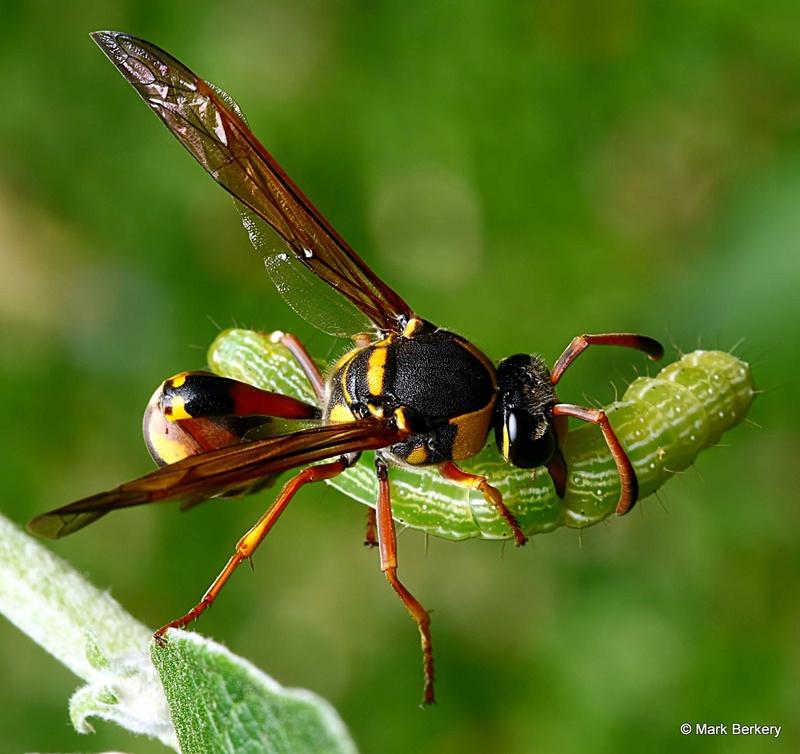 Often cruising through the grass are many ichneumon wasps and in some seasons, tachinid flies. 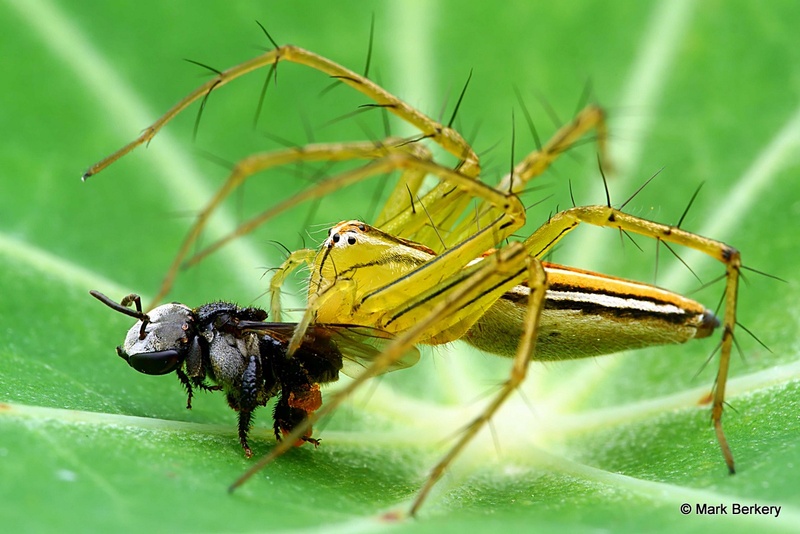 The spiders make a quick kill of their prey, but the ichneumon wasps and tachinid flies lay eggs that will hatch and eat their living prey. 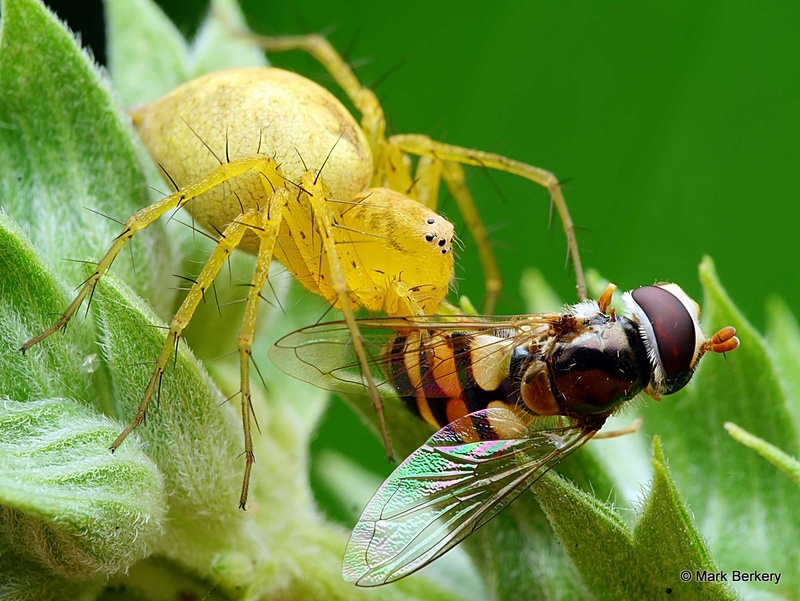 I ponder on how any caterpillar or other insect in the grass can possibly survive the intense predation, but know that there is a balance; because without an adequate number of prey insects, there would not be the host of predators. It is a balance I am only beginning to comprehend. There is an ebb and flow but never an empty space for long, where things be. The greatest imbalance I notice is when we interfere, with clearing, building, mono-culture and chemicals. Sitting here looking at these I thought to myself, “If I was an insect I would rather be a hunter/meat eater than one of the hunted”. Then I remembered finding a spider with it’s smaller spider catch the other day. Nothing is safe in the food chain.